Mr. Roosevelt Roby was the founder of World Business Exchange Network (WBE.NET), an international trade association on the Internet that trains members to establish a home-based business and become successful export agents in the global marketplace. He also founded the Global Internet Trade Course for K-12 Students, a non-profit 501(c) 3 organization and course curriculum developed to expand entrepreneurial training, technology and educational resources to disadvantaged members of society, especially minorities, women and at-risk youths. Mr. Roby devoted himself to creating opportunities for others after his own early experience with poverty and a poor education. He began as a sharecropper’s son in the rural backwoods of Mississippi, the child of parents who worked for a meager $10-20 a year on a plantation, and who were unable to read or write. By the 6th grade, the plantation owner pulled Roby out of the schoolhouse and declared, “You don’t need an education to pick cotton.” It was a time in American history — particularly in the South before the Civil Rights movement — when a poor black youth would be destined for a life of manual labor and little opportunity. But a spark of a dream ignited when Roby caught a glimpse of television for the first time. Pressed up against the general store window, Roby was mesmerized by what he saw; moving images of big cities like New York, Chicago, a mix of people, activity and shiny automobiles. He saw a new world he never imagined. For the first time, he understood there was a possibility of life beyond cultivating the land or fixing farm machinery. With his parents’ reluctant blessing, he caught the cotton truck at age 12 and rode it all the way to Memphis Tennessee in pursuit of something better. He arrived in the big city alone. He had no money, no place to live, combing through trash for food; but, he was not afraid. The young dreamer was excited and eager to work. He saw an opportunity when he found a hose, a bucket and rags behind a busy supermarket. He started his first business, proudly asking patrons for 50 cents to wash their car while they shopped. Soon he was able to buy food, find shelter in a small rooming house, and even send some money home. In time, he saved $250 dollars and business kept getting better. Not even the ills of segregation — of being forbidden to walk in the front door of the local restaurants, of riding in the back of the bus, of only using the separate “Colored Only” drinking fountains and washrooms — could dampen his new sense of pride and accomplishment. At 15 he moved to Chicago and worked a variety of jobs until eventually becoming a skilled heavy equipment mechanic. But he was denied membership to the engineers union because of his race. That denial prevented him from pursuing the higher paying jobs he was well qualified for. It began to break his spirit. Frustrated by working for others, of few opportunities, low pay and receiving little respect, Roby’s wife Cathy urged him to start his own business. She believed in him, even at a time when he didn’t believe in himself. To Roby, his wife’s notion of owning his own business seemed like a far-fetched dream. At 27, he was still unable to read or write, but Cathy wrote out the business plan for him as he dictated his ideas. Within 6 months, he became the founder of Contractor’s Equipment Service Co., the first black-owned diesel repair shop in Chicago, and opened his doors for business in 1970. The company made a staggering $108,000 in its very first year. By year three, the business was generating over one million dollars a year. The American dreamer was now living the American dream. Roby discovered a renewed sense of pride and freedom in owning his own business. His perseverance, creativity and positive attitude enabled him to go on to create other successful money making businesses for himself in real estate, retail and the automotive industry. After enjoying nearly 25-years of entrepreneurial success, he became motivated to help create business opportunities for others. In 1985, he developed the successful Home Based Business Start-Up Series on audiocassette and books to provide enterprising individuals with the newest and easiest methods of making big money with low start-up costs. Through his motivational tapes, manuals, seminars and workshops, Roby provided down-to-earth strategies for home-based business success in a clear, concise and practical manner. The series also provided 12 Steps to Financial Success in a Home/Office Business, a step-by-step program outlining the process and information needed to be successful. He continued with his own dealings as well, and found a lucrative business in selling used cars and parts to people in other countries. He discovered this expanded market provided millions of potential new customers, with billion of dollars to spend, and he became inspired with new ideas for expanding businesses into foreign markets. However, at that time too few businesses were willing or financially able to conduct international trade; overseas communication was slow if by mail and too costly by telephone. Varying time zones also posed added problems. With the advent of the Internet, technology took Roby’s vision global. In 1987, the World Business Exchange Network (WBE.NET) was launched as the first on-line tool designed to revolutionize the import/export industry. Along with the proliferation of home computers, Roby saw a new way for minority businesses and others to jump-start their own home-based business and communicate with others — buying, selling and trading products and services worldwide. Regardless of age, background or education, Roby’s enterprise was soon presenting opportunities to a new breed of self-starting entrepreneurs. The overwhelming success of the World Business Exchange Network soon caught the attention of the United States Department of Commerce (DOC). Impressed by this unexpected new undercurrent of business activity, the DOC entered into an information sharing partnership with Mr. Roby as a consultant on various international business matters — including acting as coach to former Secretary of Commerce, Mr. Ron Brown. In exchange, WBE.NET would receive up-to-the-minute information on demands for goods or services placed by businesses at any American embassy around the world. Roby created similar agreements with the United Nations, and other business organizations and government agencies worldwide. 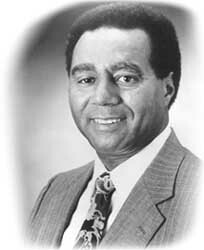 Mr. Roby served four terms as Chairperson of the International Trade Subcommittee for MBOC (Minority Business Opportunity Committee) sponsored by the Mayor’s office of the City of Los Angeles and the United States Department of Commerce. His motivational speaking inspired many to start thier own businesses, while his lectures on financial freedom encouraged thousands of people to become involved in the global business community. 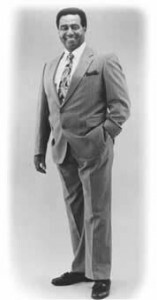 Through his civic activities, lectures, and philanthropic efforts, Mr. Roby provided opportunities for disadvantaged individuals, so that they might attain the success he found so elusive early in his life. Above all his remarkable professional achievements, Mr. Roby is best remembered for his homespun humor and common sense approach. He believed the enduring love of his wife, and the knowledge, self-respect and strong business ethics he instilled in his children and grandchildren, were among his greatest successes. While WBE.NET mourns the loss of a great leader, the family continues Mr. Roby’s mission to promote U.S. Exports and to develop Export Trading Companies.